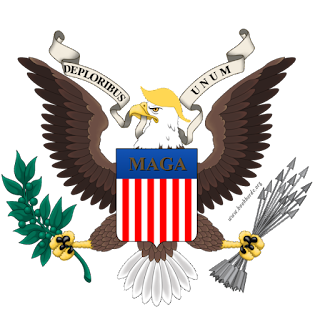 February 21st marks many momentous events in history: Karl Marx published his Communist Manifesto, the longest battle of World War I - at Verdun - began, Malcolm X was assassinated, Nixon went to China, and John Glenn became the first American to orbit Earth. But I thought I'd remember someone who brought a lot of wry humor to the world some decades ago instead. On this day in 1927, Erma Bombeck was born. Erma was born in Belbrook, Ohio to Erma Haines and Cassius Edwin Fiste, a crane operator. She grew up in Dayton, and first wrote a humor column for her school paper, The Owl. She enrolled at Ohio University at Athens with money she had made working, but stayed only one semester, after being rejected by the university newspaper and failing most of her literary assignments. She did not give up on her dream of college, and enrolled at the Catholic University of Dayton while living at home and working two jobs. In 1949 she graduated with a degree in English and she also converted to Catholicism. She was always active in the school community and married Bill Bombeck, a Korean War veteran and fellow alumni. The Bombecks moved to a suburb in Centreville, Ohio, where Bill taught (and later became principal) at a high school while Erma became a full-time mother and housewife to their adopted daughter Betsy and biological sons Andrew and Matthew. In 1954 she briefly wrote a humor column for the Dayton Shopping News but until 1964 she focused on being a housewife. In 1964 Erma started writing a weekly column for her local paper the Kettering-Oakwood Times at $3 a column, and in 1965 she started writing bi-weekly for the Dayton Journal Herald for $50. In less than a month her column went into national syndication under the title "At Wit's End." 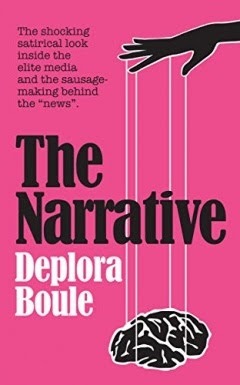 She quickly became a household name, with Doubleday publishing her first book, a collection of her articles in 1967. She became a regular guest on radio shows. In the 1970s and 80s she steadily rose in popularity and wealth, a true success story. Despite her trademark humor and wit, Erma hid from the public the fact that she struggled with her health. She had been diagnosed with a genetic kidney disease in her 20s, and later in life had to have daily dialysis. She also survived breast cancer via mastectomy. In 1993 she finally revealed to the public that she was in need of a kidney transplant. In 1996 she underwent transplant surgery but, sadly, died from complications. 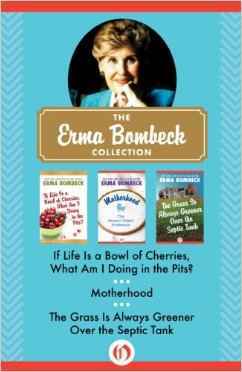 Erma Bombeck published a total of 13 books full of humor and joy of life, ten of which were on the NYT Bestseller list. Well-loved favorites include If Life Is a Bowl of Cherries, What Am I Doing in the Pits?, The Grass Is Always Greener Over the Septic Tank , Aunt Erma's Cope Book: How To Get From Monday To Friday . . . In 12 Days, and Family - The Ties that Bind...And Gag! She is a true American success story. Thanks for all the chuckles, Erma. They used to print some of her columns in the local paper when I was growing up. My mother bought a couple of her books and I've read them. They are Hi-larious and bring back lots of great memories.